My name is Traci Robbins. I am the dyslexia therapist at Crockett Intermediate School. This is my 25th year in education. I taught first grade at Aikin Elementary for 17 years and Read 180 for one year before entering into dyslexia intervention. I love being able to help children with dyslexia! I am married to Brian Robbins and we have an amazing daughter, Mallory. 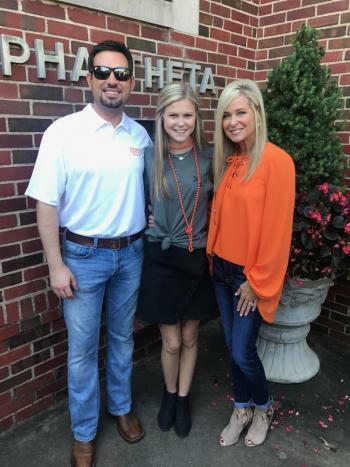 She attends Oklahoma State University and is a member of the Kappa Alpha Theta sorority. She will graduate this May and hopes to attend dental school next fall.